I don't know about you, but I am such a sucker for '90s show cast reunions. The latest one to thrill me endlessly? As Just Jared relays, Mark-Paul Gosselaar and Mario Lopez got together for a Saved By the Bell reunion over the weekend. Which, you know, means there was a whole lot of handsomeness in one area. But what really stands out about the reunion, other than the stars' increasing good looks since the series' end, is that the duo went and got a whole new crew. That's right, people. Zack and Slater ditched Jessie, Lisa, Kelly, Mr. Belding, and even went so far as to completely replace Screech. It'd almost be insulting if it weren't so cute. You see, no offense to the OGs, but this new crew may actually be even better than the first. Especially considering that it's comprised of both Gosselaar and Lopez's offspring. Yes, both actors took their kids (six in total) to see the Disney on Ice show and it seems like the sweetest way to end the year. While posing for professional pictures, Lopez also managed to take a selfie of the entire group. Well, he tried to at least. The Extra host cut off most of his face, which he acknowledged in the caption of his Instagram post saying, "Good to see my man @mpgosselaar & fam. Tough to get a pic with kids tho. Especially with my big Rottweiler head... #DisneyOnIce #LopezAndGosselaar." On the bright side, while Lopez clearly hasn't figured out how to use the panoramic feature on his phone, a hanging-over-the-mantle worthy photo was at least taken of the two pals. 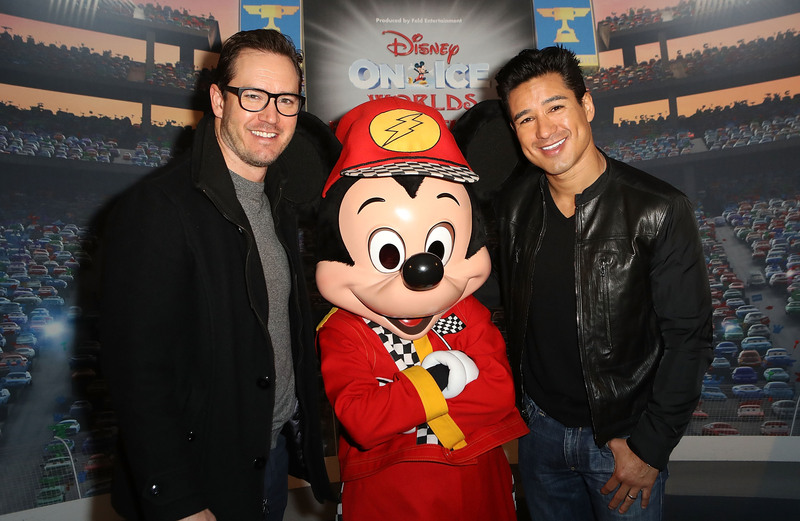 Lopez put up another picture of the two with Mickey Mouse in the middle, saying, "Can't believe we ran into Screech... @MPG #DisneyOnIce." Sure, that might be slight shade, but I personally think it's way too PG and downright funny to get bent out of shape over. No harm in poking a little fun. Last, but certainly not least, both actors got shots with their families, with everyone included, and it shows how much they've both grown up since the show ended 22 years ago. Things look a lot different regarding their "squads" but it's certainly a heartwarming change.